Kick off your visit on the 7th (Sat): admire the natural beauty at Garden of the Sleeping Giant. 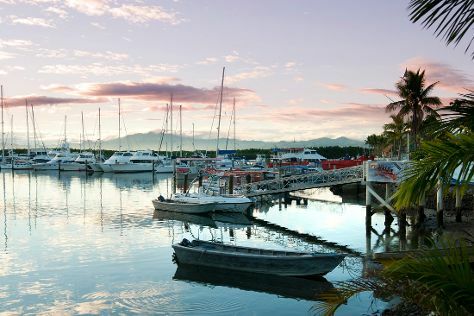 Get ready for a full day of sightseeing on the next day: go for a stroll along the water at Port Denarau Marina, kick back and relax at Denarau Beach, and then don't miss a visit to Prestige Laundry. To find where to stay, reviews, traveler tips, and more tourist information, go to the Denarau Island trip planner . Auckland Central, New Zealand to Denarau Island is an approximately 4.5-hour flight. Expect much warmer weather when traveling from Auckland Central in July: highs in Denarau Island hover around 32°C, while lows dip to 22°C. Finish your sightseeing early on the 8th (Sun) so you can fly to Taveuni Island. Kick off your visit on the 9th (Mon): admire the sheer force of Waitavala Natural Rock Waterslide, then admire the sheer force of Tavoro Waterfalls, and then look for all kinds of wild species at Lavena Coastal Walk. To see maps, ratings, more things to do, and more tourist information, use the Taveuni Island trip itinerary builder website . Traveling by flight from Denarau Island to Taveuni Island takes 2 hours. Alternatively, you can do a combination of bus and ferry. Wrap up your sightseeing on the 9th (Mon) to allow time to travel to Suva. Kick off your visit on the 10th (Tue): get engrossed in the history at Fiji Museum, tour the pleasant surroundings at Albert Park, and then hunt for treasures at Suva Municipal Market. For more things to do, where to stay, ratings, and more tourist information, you can read our Suva trip itinerary tool . You can fly from Taveuni Island to Suva in 2 hours. Alternatively, you can do a combination of flight and bus; or ride a ferry. 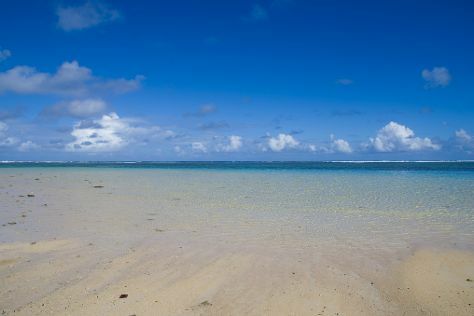 In July, daily temperatures in Suva can reach 30°C, while at night they dip to 22°C. Wrap up your sightseeing on the 10th (Tue) early enough to take a bus to Sigatoka. Bring the kids along to Kula Wild Adventure Park and Natadola Beach. There's lots more to do: surround yourself with nature on a nature and wildlife tour, look for gifts at Baravi Handcrafts, steep yourself in history at Tavuni Hill Fort, and relax and rejuvenate at some of the top local wellness centers. Plan trip to Sigatoka with our itinerary maker to find out where to go and what to do. Take a bus from Suva to Sigatoka in 3 hours. Alternatively, you can do a combination of flight and bus; or drive. In July, plan for daily highs up to 32°C, and evening lows to 22°C. Wrap up your sightseeing by early afternoon on the 13th (Fri) to allow enough time to travel back home.